One in seven Australian university students say they regularly cannot afford food and other basic necessities, with Indigenous students the worst affected. Those working in the sector are calling on the federal government to increase income support for students, saying the current rates inadequately cover living expenses. This feature reveals more details. One in seven university students regularly go without food and other necessities because they cannot afford them, the latest national financial survey of Australian university students has found. This rises to one in four Indigenous students and almost one in five students from the poorest quarter of Australian households, including those who are also shouldering the costs of raising children. The Universities Australia Student Finances Survey 2017 — released today — surveyed more than 18,500 university students about their cost of living and day-to-day financial reality. While the financial circumstances of students overall appear to have improved slightly since the last survey in 2012, this is because students are spending less while their incomes have stalled. A significant proportion are still doing it tough – with students from poorer backgrounds, Indigenous and regional students hardest hit. Universities Australia Chief Executive Catriona Jackson said financial hardship is hurting students’ education, with many students deferring studies or reducing their course load for financial reasons. “Students studying full-time are only living on $18,000 a year — that’s well below the poverty line,” Ms Jackson said. “Education is meant to come first when you are studying, but we know that for some groups of students who live life on the financial edge, that’s just not their reality,” she said. National Union of Students President Mark Pace said there were countless students who forfeit food or experience homelessness while they study. “There hasn’t been an increase to Newstart in real terms for 24 years. The single rate of Newstart is $278 per week, when we know essentials, such as rent and food cost $433,” he said. The survey also shows the vast majority of university students support themselves through paid work. “For some, this is a chance to gain valuable work experience and skills that will help fast-track them into a full-time job after they graduate,” Ms Jackson said. 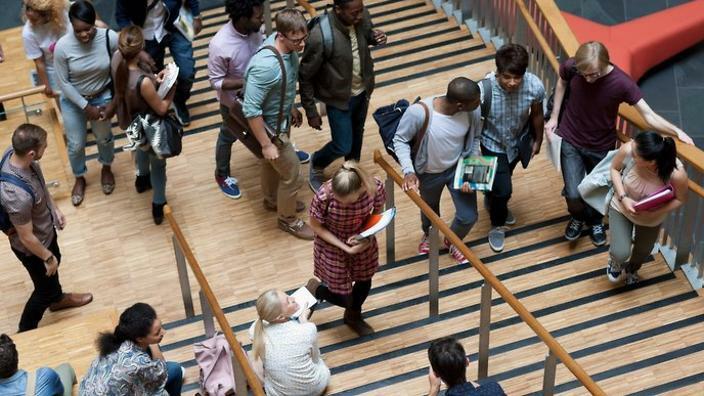 Two in five students said their paid work adversely affects their university performance, and one in three regularly missed lectures because they had to work. one in three regularly missed uni lectures or classes because they had to work.